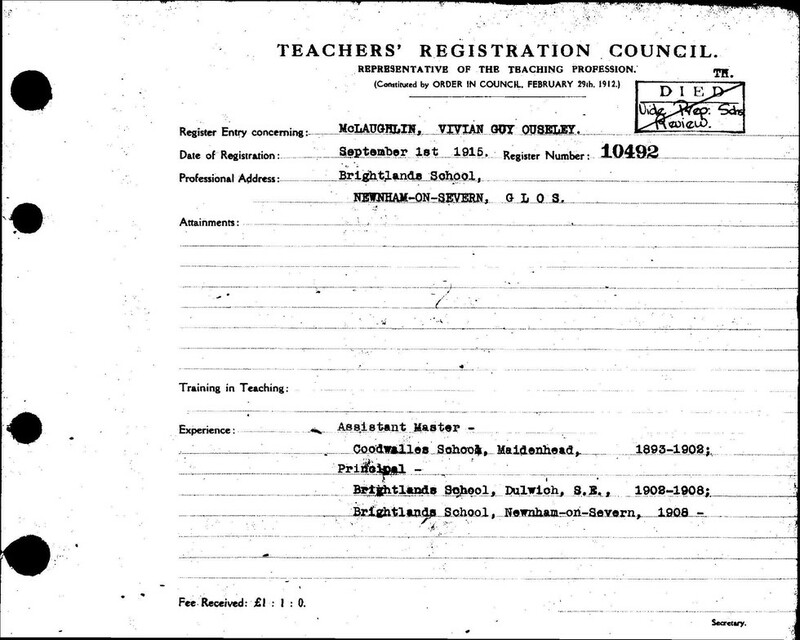 Since we're in a scholastic mood, the subject of today's class is the Teacher's Registration Council Registers and how you can use them to find any ancestors of yours that used to teach. Are there teachers in your family tree? The records hold details of nearly 100,000 people who taught in England and Wales between 1870 and 1948, and discovering your ancestor's teaching record can give you a unique glimpse into their educational career, with all positions listed. More than half of the records are women, making them an especially useful place to find out more about your female ancestors' careers. Start exploring today, and see how many educators you can add to your family tree. We took a look through the records and managed to discover film director Guy Ritchie's paternal great-grandfather, Vivian Guy Ouseley McLaughlin.